The loss of one or both breasts following a breast cancer diagnosis is devastating. Recovering from the physical pain of a mastectomy is difficult enough, but the emotional pain of losing a breast is incredibly traumatic for women and can result in lower self-esteem and severe depression as they struggle with changes to their physical appearance. Fortunately, women today have several options in cutting-edge breast restoration techniques that can minimize their emotional trauma. The latest techniques by skilled Dr. Fasano in Stuart produce very natural-looking reconstruction results. How Is Breast Restoration Performed? Years of research have led to sophisticated techniques. During the procedure, Dr. Fasano recreates all or part of the breast that has been removed using an implant, the patient’s own tissue or a combination of an implant and the patient’s tissue. The surgery may be performed at the time of the mastectomy or at a later date, depending on whether or not your cancer treatment is complete, as well as your own preference and lifestyle. For example, if you need additional radiation or chemo therapy following the removal of your breast, it may be medically necessary to delay the restoration. Am I a Candidate for Breast Restoration? Most women who had a mastectomy are candidates for the procedure. In addition, women who have had a lumpectomy or other breast conservation surgery, or have lost breast tissue following a traumatic injury, are also candidates. Further, women who have been found to have a genetic mutation and will have a mastectomy to remove a non-cancerous breast to prevent cancer, or who have congenital breast deformity may also undergo breast restoration. If you live in Vero Beach, Jupiter, Sewall’s Point, St. Lucie, or anywhere in the region, get in touch with Dr. Fasano’s office to find out if you’re a candidate. What Are the Latest Techniques Used by Dr. Fasano’s Stuart Office? TRAM Flap surgery is one of the most common breast reconstruction techniques. Excess skin, fat and muscle are removed from the abdomen and created into a new breast. 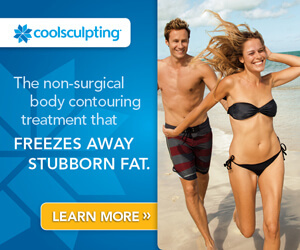 This procedure has the added benefit of giving women a type of tummy tuck. In this procedure, Dr. Fasano will take skin and muscle from the upper back and relocates them to the breast. An implant often is placed under the flap of skin, and the new breast is then shaped to match the other breast. A small balloon known as a tissue expander is placed under the chest muscle that gradually expands over a period of several weeks with injections of saline. Once the tissue is fully expanded, a second procure is performed during which a breast implant replaces the balloon. While recovery time from any surgery is largely dependent upon the patient, patients can expect anywhere from a two to four week recovery period, although any pain or discomfort can be managed with medication. Typically, women who undergo breast restoration can resume normal activities after four weeks. Contact Dr. Fasano’s Stuart office today to begin your recovery and reconstruction process.